Being truly concerned about others, Delance listens, understands what her environment is made of, so she can take action with all the human means at her disposal. The brand’s creations and the owner-creator’s engagements as a speaker are the media through which she shares her philosophy and lifestyle goals. As a company, to act responsibly, in order to protect and conserve natural resources; to actively work towards the present and future well-being of the community; to share the know-how required to spread the savoir-vivre required for a prosperous society life. Giselle Rufer conjugates humanism in the feminine, so that the women in her network can interact with each other and become a community support system for one another. 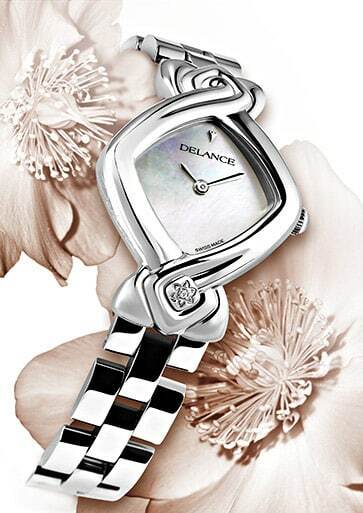 The company Delance differentiates itself by its social commitment to women. Its corporate goals are universal and aim to establish action levers to promote harmony and understanding, enabling men and women to work as equals. Progress in the 21st century should be made to support the environment and the economy.